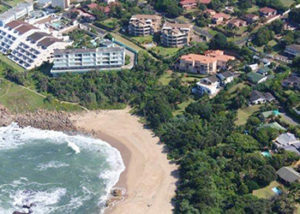 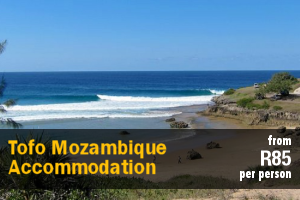 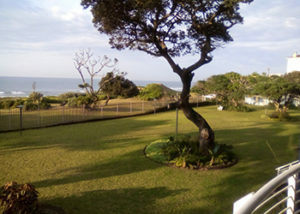 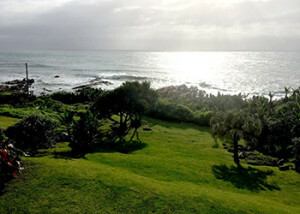 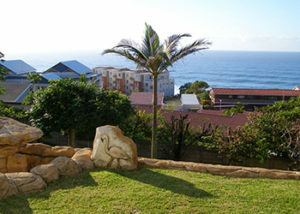 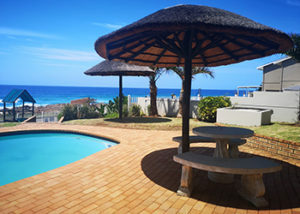 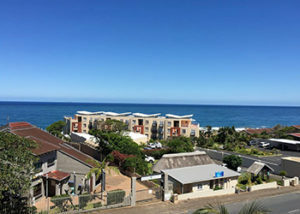 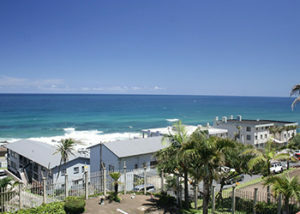 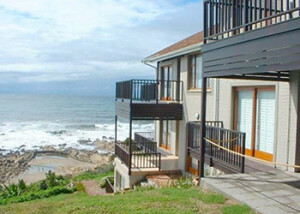 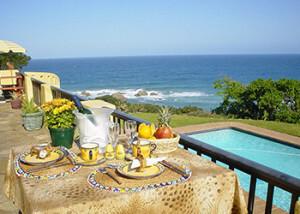 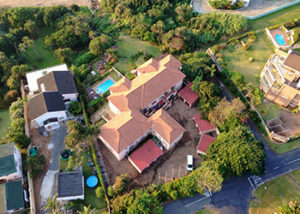 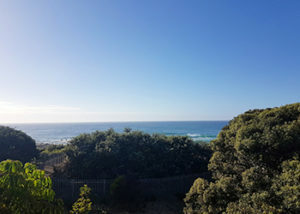 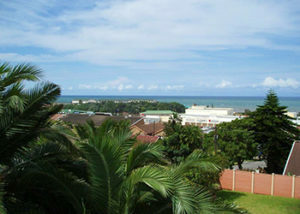 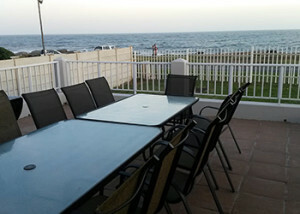 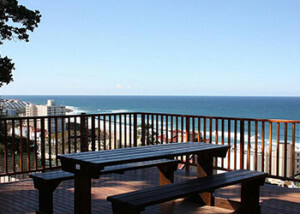 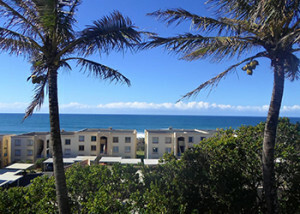 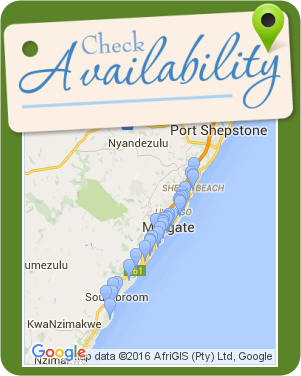 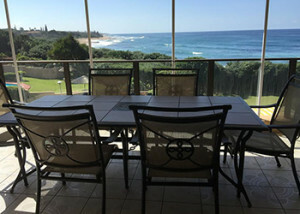 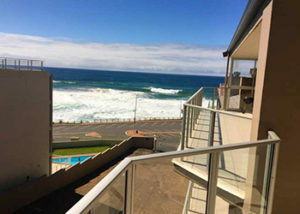 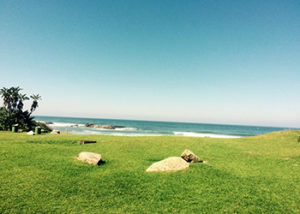 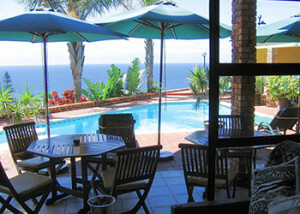 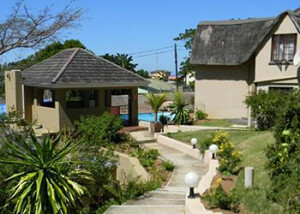 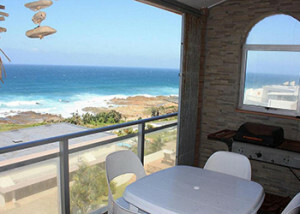 Dolfinview 405 is a self-catering apartment for up to 5 people in Lawrence Rocks, and is situated within walking distance of the beach. 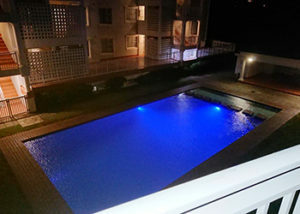 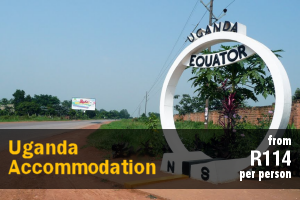 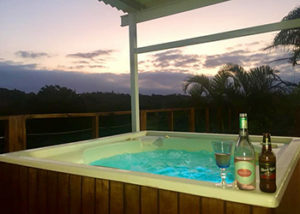 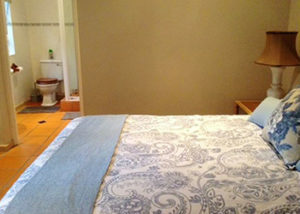 The apartment has 2 air-conditioned bedrooms that share the use of a bathroom with a bath and a shower. 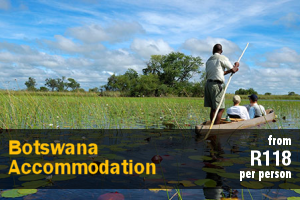 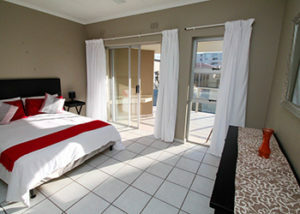 The main bedroom has a queen-size bed, as well as a TV with PVR DStv. 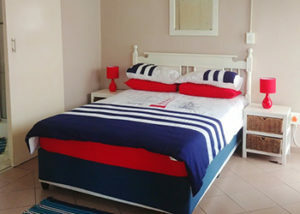 The second room is furnished with a single bed and a bunk bed. 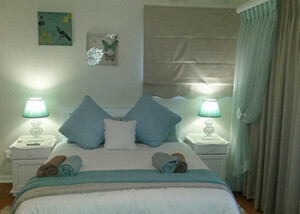 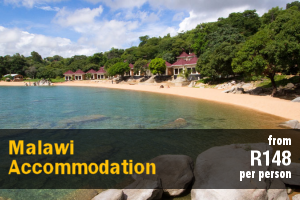 Linen and towels are provided, and guests please need to bring their own beach towels. 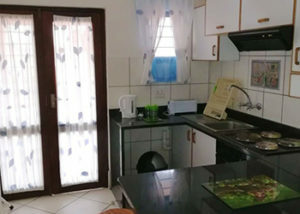 The open-plan kitchen is equipped with a stove and oven, a microwave, a fridge, a washing machine, a tumble-dryer, as well as a water purifier. 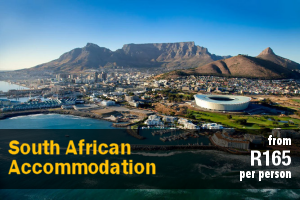 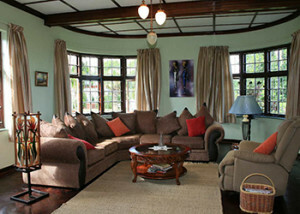 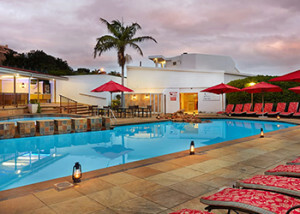 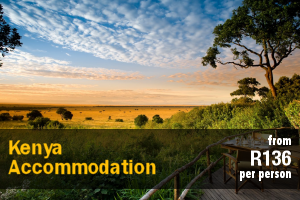 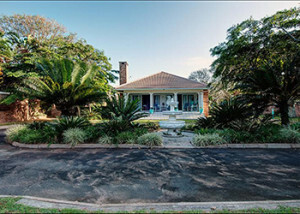 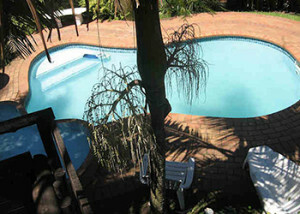 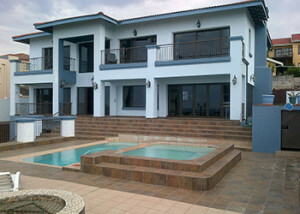 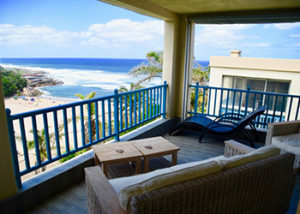 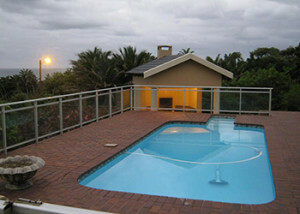 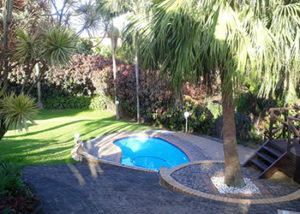 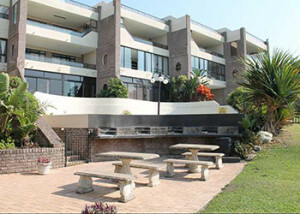 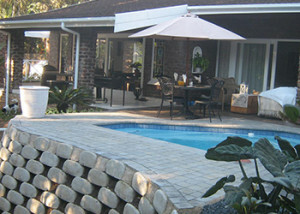 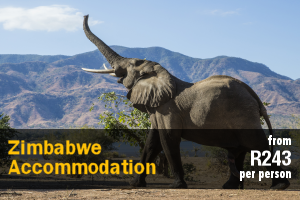 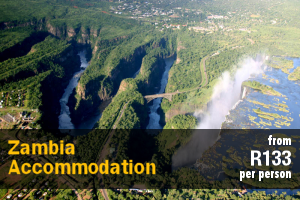 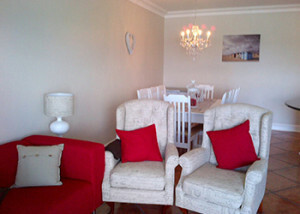 The air-conditioned living area has a TV with full PVR DStv, and opens onto a balcony with a built-in braai area. 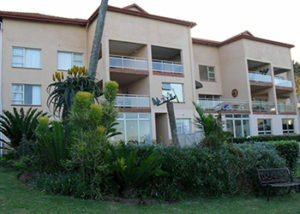 Please note smoking is not allowed in the unit, and unfortunately, pets are not allowed. 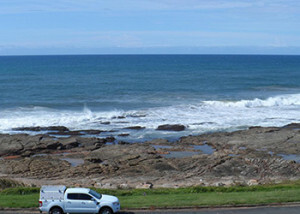 Undercover parking for 2 vehicles are available for use, and a daily cleaning service is available at an additional cost. 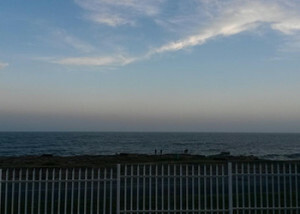 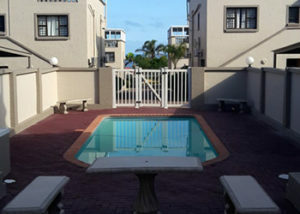 Dolfinview 405 is within walking distance of the Margate main beach, and the area offers a variety of activities such a surfing, swimming, mountain biking as well as various attractions and restaurants.